Gutter cleaning is tedious work. But clogged gutters, if left unattended, pose real dangers to your home. 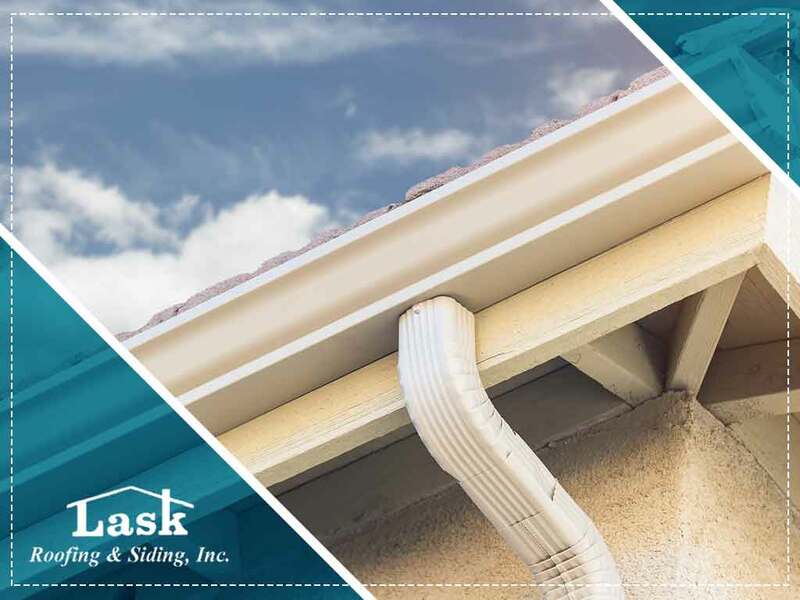 As your local expert in gutter protection services, LASK Roofing and Siding, Inc. discusses the dangers of clogged gutters in today’s post. Foundation Damage – Gutters are designed to route rainwater safely away from your home. Without functional gutters, water can pool around your home’s foundation, compromising your home’s structural stability. Ice Dams – Ice dams form when melted snow trickles down your roof and re-freezes at the bottom of the roof. As this cycle continues, a dam forms at the edge, which pushes ice and water back up to the roof, causing moisture intrusion. While ice dams are often caused by improper roof insulation, clogged gutters can accelerate their formation. Gutter covers like Gutter Helmet® can help minimize the need to clean your gutters in uncomfortable outdoor conditions. Wood Damage – Certain components of your roof are likely made of wood, like the fascia and soffit. Overflowing rainwater from clogged gutters can soak into these areas, causing rot. This type of damage is undetectable until it’s well advanced and will require costly repairs. Landscape Damage – Overflowing gutters can also drench your landscape, destroying your garden and turning your yard into a swamp. These dangers can be prevented with regular gutter cleaning and maintenance or by simply investing in gutter guards. To learn more about gutter care, call LASK Roofing and Siding, Inc. today at (815) 788-6699. You can also fill out our contact form to schedule a free, no-obligation quote. We serve Rockford, IL, and surrounding areas. ← When Is the Best Time to Install a New Roof? Copyright © 2018 LASK Roofing & Siding, Inc. All rights reserved. LASK Roofing & Siding, Inc.